Eating disorders are not taken seriously enough by society. Many people think that eating disorders will go away if they eat properly. 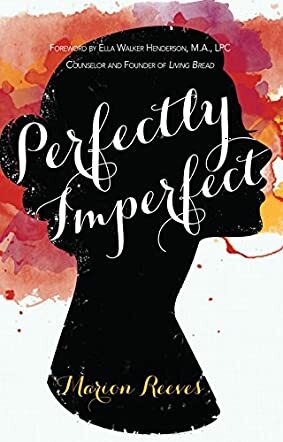 Perfectly Imperfect by Marion Reeves is a book about the author’s life that shows readers the pervasive impact of an eating disorder and explains to them that it is not a phase. Eating disorders are growing and are strongly connected to dieting and body image. The author’s story will definitely inspire others and will give hope and courage to those who are struggling with an eating disorder and depression. It is a story of hope, courage, and also about a girl who discovers that God’s love is worth sacrificing everything for, even control. The book is insightful and encouraging and it throws light on the inner thoughts of a person battling an eating disorder and depression. The author is vocal about her eating disorder and describes in detail the different phases she went through, thereby taking readers into her personal space. Many readers will be able to connect with her story. The author also speaks about the positives that happened to her while going through her recovery process. The author’s story will make readers aware that having an eating disorder is not going to get sorted by being told to eat a burger and it will be okay. It is a serious disease with many physical and emotional side effects, and it not only affects the patients but also family, friends, and relationships. This book is an eye-opener to many of us who are not aware of the impact of eating disorders.